Some players must be measured by the times they played in, not in terms of averages. Martin Crowe was one such artist. I have seen very little of him in early 90’s and my impressions of him were established in the 1992 World Cup. A maverick batsman, he undoubtedly was one of the most swashbuckling stroke players Cricket has ever seen. Natural flair and a gift for gaming nuances, he was not surprisingly, 92′ edition’s player of the tournament. By far, New Zealand’s finest, his penchant for runs and glory catapulted the Kiwis’ to stardom. His impact paved the way for their Cricket to produce some illustrious talents like Nathan Astle, Chris Cairns, Daniel Vettori and Brendon Mcullum. 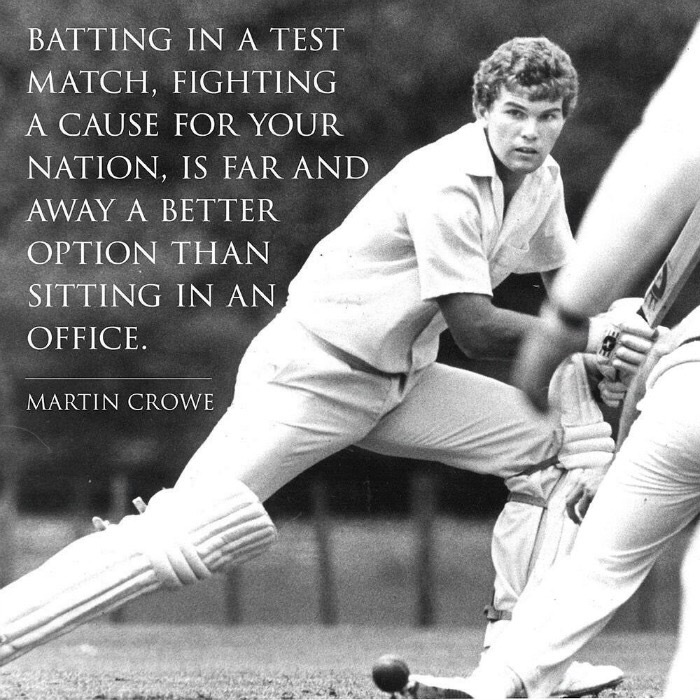 New Zealand owe a large part of their sporting legacy to Martin Crowe. You went early Sir, but you will not be forgotten in a hurry.